Learn the fundamentals of Vedic astrology according to the background of “Ayurvedic Astrology,” helping you approach the astrological chart in order to recognize imbalances of body and mind according to their planetary connections, and promote positive well-being, yoga and spirituality. Study with a master educator, author and teacher in both Vedic astrology and Ayurveda of worldwide renown. Note our ordering option for the course through on-line access for $495.00. It will not include any printed material or reference books. You will receive a special code with a few hours of ordering the course that will allow you to access the full course at your convenience on line from any computer in the world. All course improvements over time will also be yours as soon as they are uploaded. If you need any help or clarification about the ordering process, please email us at vedicinst@aol.com. You can order the books directly from Lotus Press (1-800-824-6396), with which we have a special arrangement, Amazon or other sources, including by kindle edition. You will need these books if you do not have them already. Vedic astrology, also called Jyotish, is the traditional astrology of India and part of the greater system of yogic knowledge. While similar to Western astrology in using planets, signs, houses and aspects, it calculates these differently and adds many unique factors of its own. Vedic astrology is a comprehensive system of astrological interpretation, containing accurate methods for examining all aspects of life from health to enlightenment. It has tremendous power both for prediction of events and for guidance on how to live in harmony with the universe, helping us to understand and transcend the influence of karma. There are no specific prerequists for taking the course, except that the student should realize that the course can be challenging and contains extensive material. For those who have difficulty approaching Vedic astrology, the course provides keys for unlocking its language and its methodology, both in terms of chart interpretation and the application of remedial measures. To teach the fundamentals of Vedic astrology and chart interpretation through the planets, signs, houses, aspects, yogas, divisional charts and dashas. To set forth the Vedic ‘Astrology of Healing’ (Ayurvedic Astrology) for those who want to specialize in this subject, including gem therapy, as well as the use of mantras. To introduce the Nakshatras, Muhurta, Ashtakavarga and Vedic methods of timing, including the Vedic calendar (Panchanga). No previous background in Vedic Astrology is required. The course starts at a beginning level, but goes into depth into its subject. The course is authored by Dr. David Frawley (Pandit Vamadeva Shastri) and represents his approach to Jyotish, making it relevant in the modern world without losing its traditional depth and spirituality. Vamadeva is Jyotish Kovid (proficiency in Jyotish, 1993) and Jyotish Vachaspati (Professor of Jyotish, 1996) through the Indian Council of Astrological Sciences (ICAS), the largest India based Vedic astrology organization, founded by Dr. B.V. Raman. He was directly initiated into Vedic astrology mantras by Dr. Raman himself. He is one of the few who is a world recognized teacher in both fields of Vedic astrology and Ayurveda. Dr. Raman was also Vamadeva’s main Vedic astrology teacher and hosted him for a number of talks and programs in India. Vamadeva was the first president of the American Council of Vedic Astrology (ACVA) from 1993-2003. He was one of the patron founders of the British Association of Vedic Astrology (BAVA, 1998) along with Dr. Raman. He has been a board member of the American College of Vedic Astrology (ACVA) and the Council of Vedic Astrology (CVA). In addition, he is a well known Ayurvedic teacher and author, connected toimportant Ayurvedic organizations worldwide including the National Ayurvedic Medical Association (NAMA), the Ayurvedic Practitioner’s Association of North America (AAPNA), the Chopra Center University, and Kerala Ayurveda. 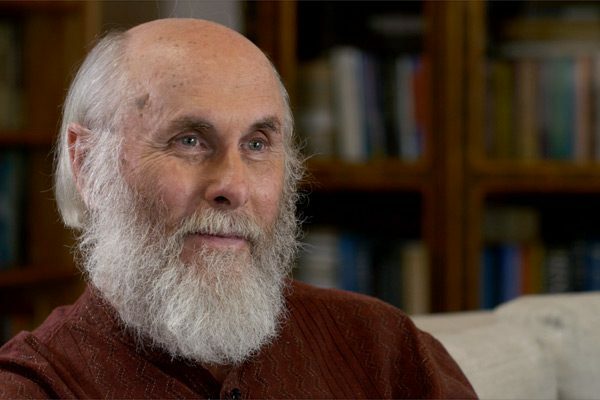 Dr. Frawley is one of the most honored western Vedic teachers in India and worldwide today with a D.Litt in Yoga and Vedic Studies and a special Padma Bhushan Award from the government of India. The course comes in four on-line volumes or booklets and around forty lessons. There is a four year time limit on completing the course or a reinstatement fee may be required. The course includes study questions and study exercises at the end of the lessons. The course workbook contains special charts for practical analysis. There are three detailed final tests consisting of up to one hundred questions, to be returned to the institute for grading. Students can send in answers by mail or by email. Certification for the course is given to students who answer all test questions satisfactorily, as well as options for further study. The course takes about 300 hours of study to complete and provides 300 hours of credit in Vedic Astrology. It grants a certificate in our Foundation Course in Ayurvedic Astrology, as an “Ayurvedic Astrologer Foundation Course.” This credit is unique with us as an institution recognized for Ayurvedic studies as well as astrology. You can make yourself known as one of Vamadeva’s and the Institute’s trained students in Ayurvedic Astrology. You can use this course as partial credit for the Council of Vedic Astrology (CVA) Jyotish Visharada program.